I have never been to Bath. I had an idea in my head that it was quite tricky to get to on public transport, so I've never got around to it. 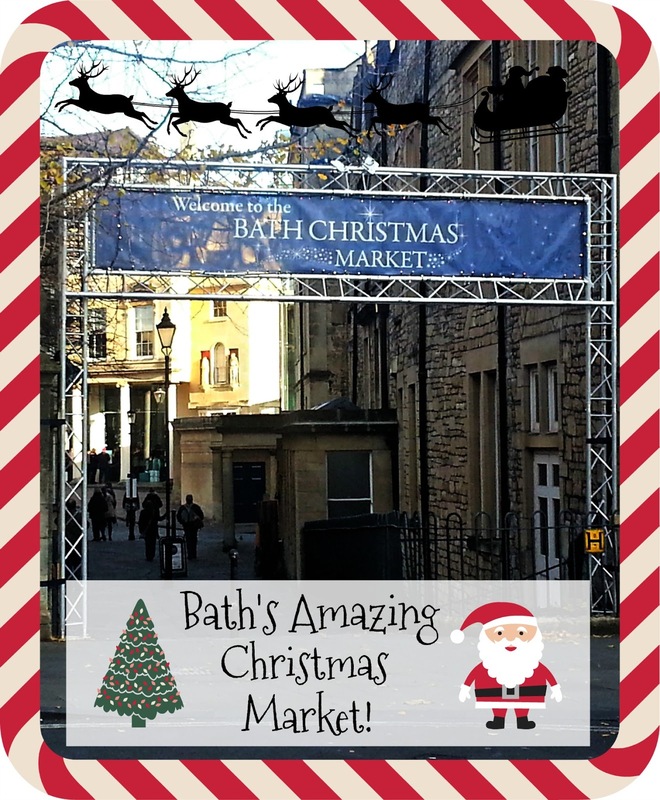 When I was invited to a blogger event with Visit Bath, to visit the Bath Christmas Market, however, I thought it was time to put on my big girl pants and have a go. How wrong I was! The city is really well served for buses and they run every half an hour from the town centre, and various other points around the surburbs, such as Parkway Station and Cribbs Causeway. The journey does take up to an hour and a half, but at £6.50 for a day rider, it's a very easy, low cost way to travel, with no concerns about parking, either. You can enjoy some lovely scenery, with no traffic worries and know there isn't a huge gap between buses if you miss one! When I first arrived, I was amazed at how huge the market was. I've always enjoyed Bristol's Christmas offerings, but this was in a different league. 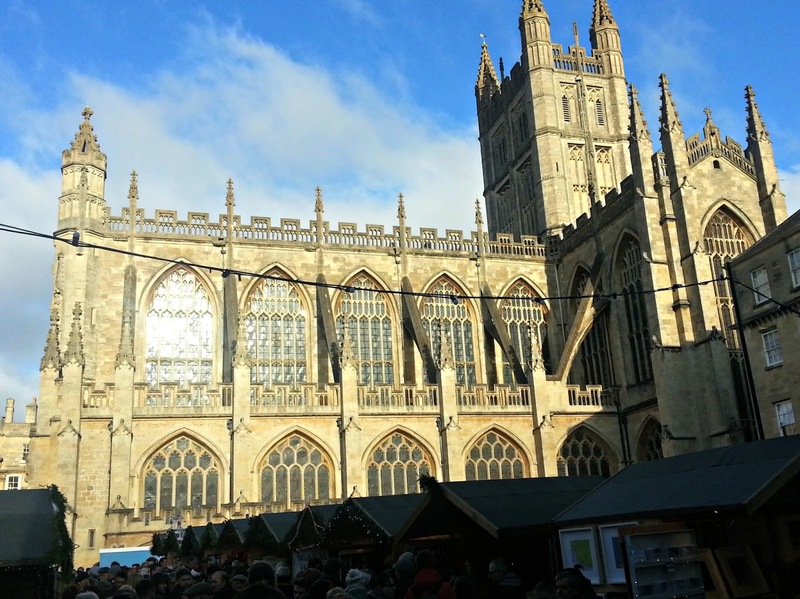 With 177 stalls, it cut an impressive sight against the backdrop of the stunning Bath Abbey. It's hard not to feel festive, when you are surrounded by architecture that could be straight out of a Dickens classic. The first thing I noticed on entering the market were all the different aromas that were fighting for supremacy amongst the nostrils of passers by. Every kind of lovely smell you could imagine, from horse chestnuts to honey, lavender to leather, there was something to delight even the most unenthusiastic of Christmas shoppers. 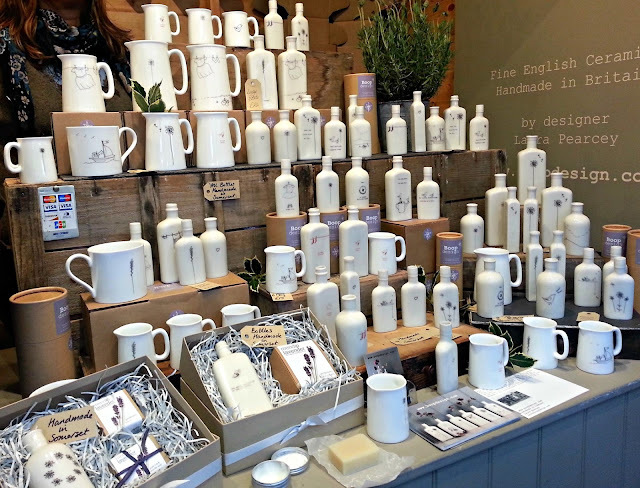 This amazing display from Boop Designs features fragrant Lavender products and beautiful ceramics, all of which are handmade locally. Designer Laura, who line draws her own illustrations before firing the ceramics herself, told me that Boop was her childhood nickname and she began creating the vintage style bottles as a way to bottle her memories! I have never seen so many stalls of handmade creations as I did in Bath and there are stories behind a lot of them. 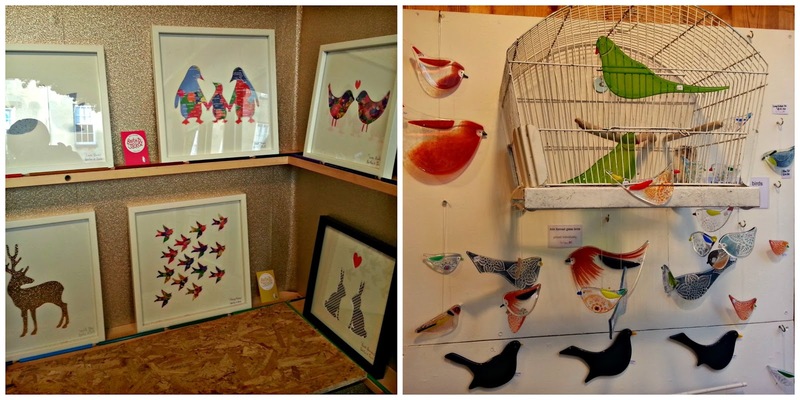 This gorgeous lady is Nicola, from Nicola Davis Crafts, who makes stunning textile-based silk painted designs. Her designs are all made totally by hand and are created to reflect positivity and happiness, two qualities that Nicola has come to value, after beating both Anorexia and Depression. Not only does she make beautiful works of art, she also raises money for the eating disorder charity Beat. She ran a half-marathon, and donates 10% from sales of her recipe book, My Super Sweet Recovery Cookbook! There's a lovely atmosphere at the market and the stall holders are keen to tell you all about their wares, of which they are clearly very proud. It made a nice change to be surrounded by so many unusual and quirky gift ideas, instead of the usual generic high street offerings, where you could be anywhere in the country and the shops would, most likely, look pretty much the same. You certainly rarely see displays as original as this one from Robyn Coetzee Glass and I loved all these pictures from Bertie and Jack, where it's easy to pick out a personal gift, based on the recipients personal preference. 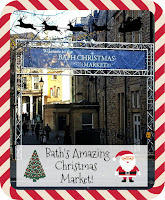 They are made in Bath too! Of course, I could have bought all the penguin pictures to feed Jade's penguin habit, it was impossible to choose! Amongst the many stalls who were pleased to show off their amazing products were purveyors of fabulous fudge from the Fudge Kitchen, who sell fudge in all its forms, including liquid fudge, which is a bit like chocolate spread, but fudge, it's amazing, and a seller of snuggliness at Ridge and Furrow. 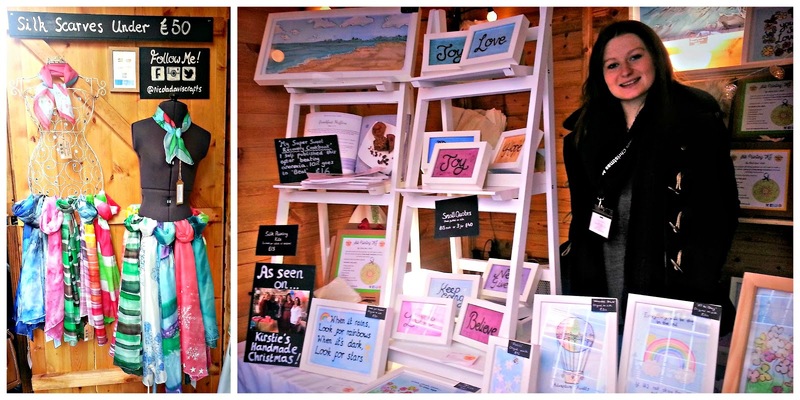 Here, you can buy vintage style gifts and toiletries, alongside wonderfully warm woollen blankets and sheepskins! The one thing that is a bit tricky to negotiate at the market is the crowds. It gets very busy and you do have to be careful as you walk around to be aware of others, especially little ones. 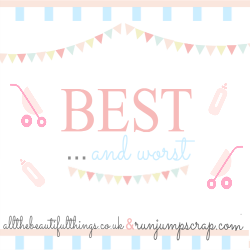 It's not surprising that it gets so busy, as there are so many amazing things to see and, although there were a lot of people when I went, there are so many stalls that I didn't have to wait long to get served when I wanted to talk to anyone or buy something. If it does all get a bit much to handle, you don't have to worry, as there are many food and drink stalls along the way, selling all manner of different treats, where you can stop for a little reguvenation if you need to. There are even strategically placed stalls selling local alcohol, such as Bath-brewed ale and local Bath gin! What more could you want from a Christmas shopping trip? A million original gift ideas, a chance to support local trade and businesses and even an excuse to partake in a local tipple. this could be the perfect Christmas day out! I can't wait to go back, I really enjoyed finding out the inspiration behind all the different products and discovering new ones. It's made me feel quite festive! 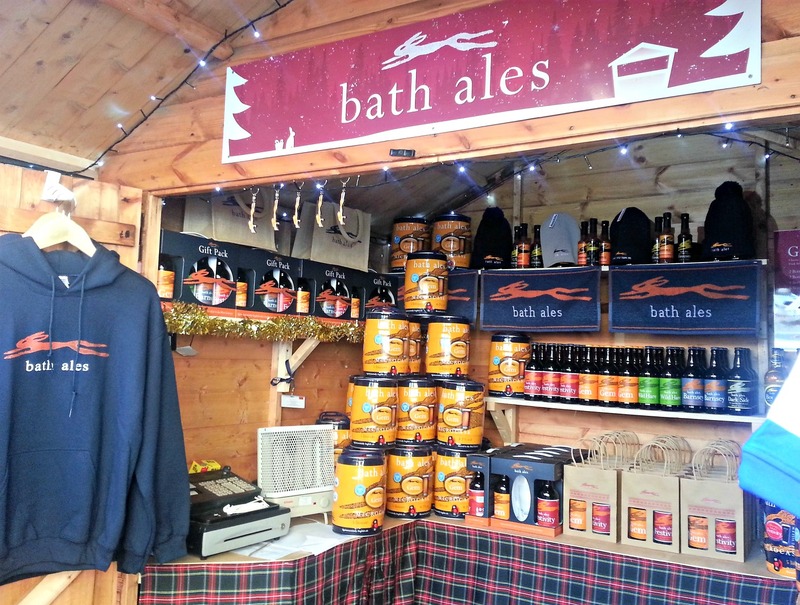 With thanks to Visit Bath, for inviting us along, feeding us delicious toasted sandwiches from The Lodge and gifting us samples from some of the stalls. 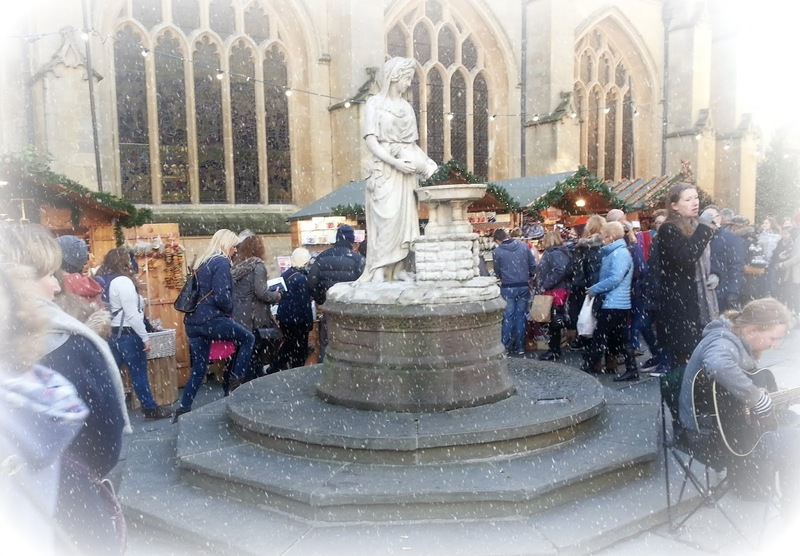 The Christmas market in Bath is so beautiful and so many gorgeous stalls.